Specially designed with steeper sides for the Spaniel in your life. Supplied with fitted non-slip rubber rings. To accompany this range are non-slip rubber rings to fit the bases of each dish. 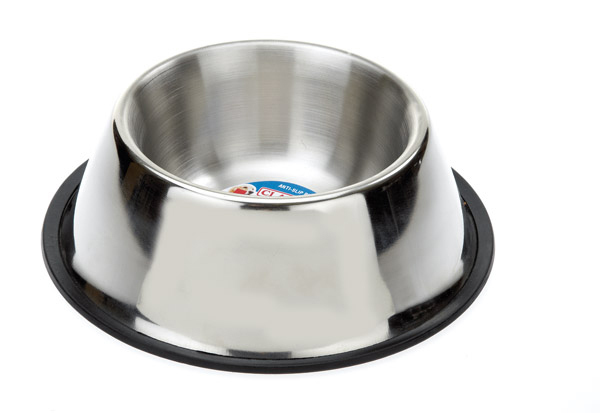 Extremely durable and retaining it's sheen over many years, the Classic stainless steel feeding dish range is also noted for being hygienic and safe to use in dishwashers as well as it's resistance to absorbing food odours. Below are some recent questions we've received regarding Classic Stainless Steel Non Tip Spaniel Bowl, including answers from our team. It is roughly 6 inches across.